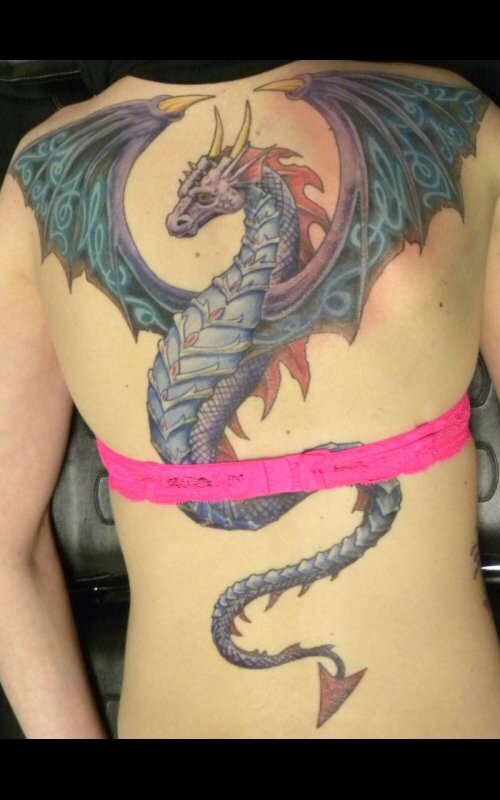 Power Dragon Color feminine freehand custom dragon tattoo. Breathing Death Color freehand custom dragon tattoo. 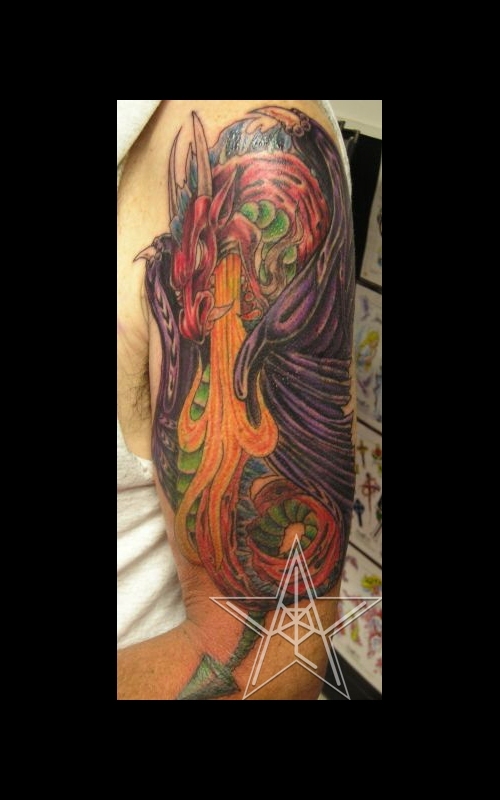 Writhing Inferno Color freehand custom dragon tattoo. 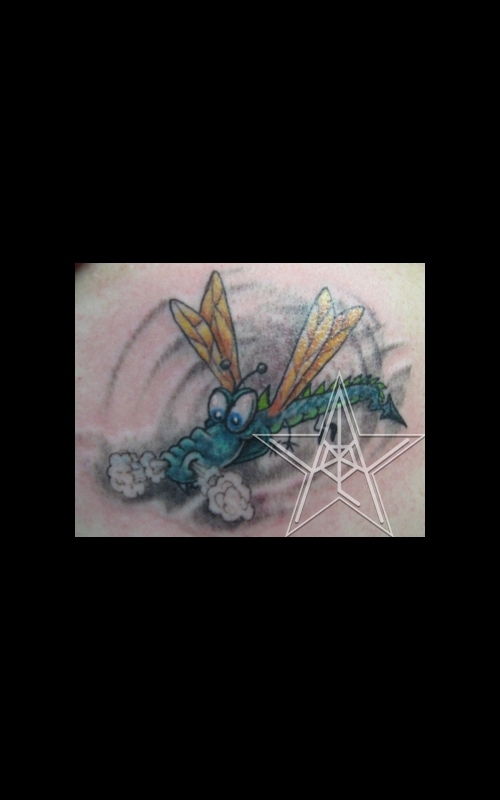 It Be a Wee Dragonfly Color cartoony dragonfly tattoo. Inner Beast Color freehand custom dragon tearout tattoo. Rand's Dragon Color dragon tattoo from Cherry Creek Flash. Medieval Shredder Color freehand custom dragon blowing fire tattoo. 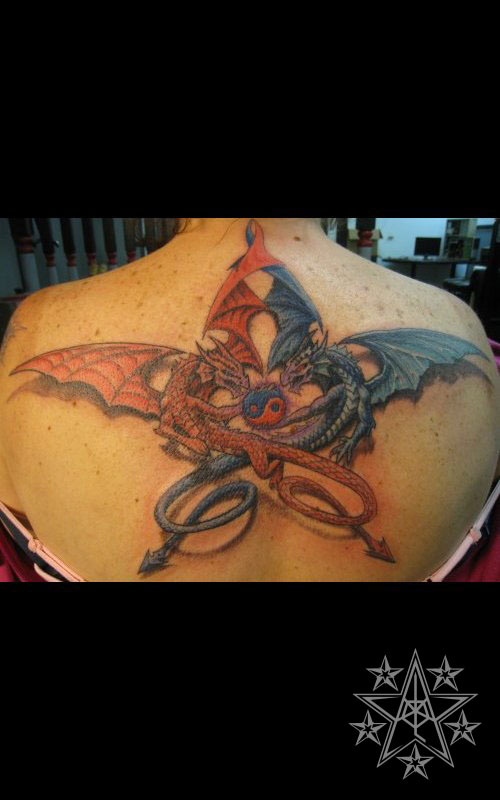 Guardians Color custom dragons and foliage lowerback tattoo. 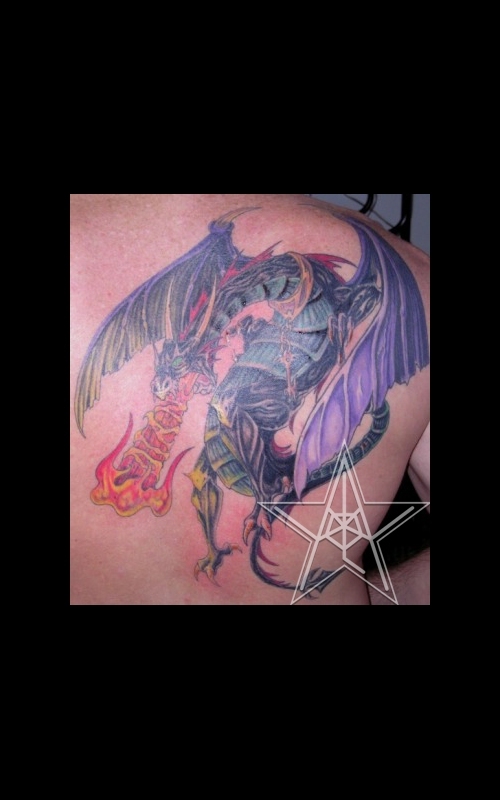 The Battle Black and grey custom dragon fighting war party tattoo. 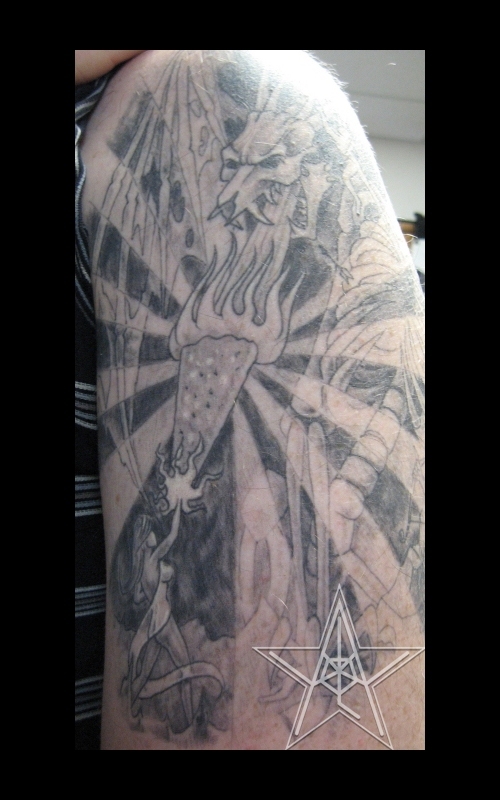 Celestial Crossings Dragon Star Tattoo. 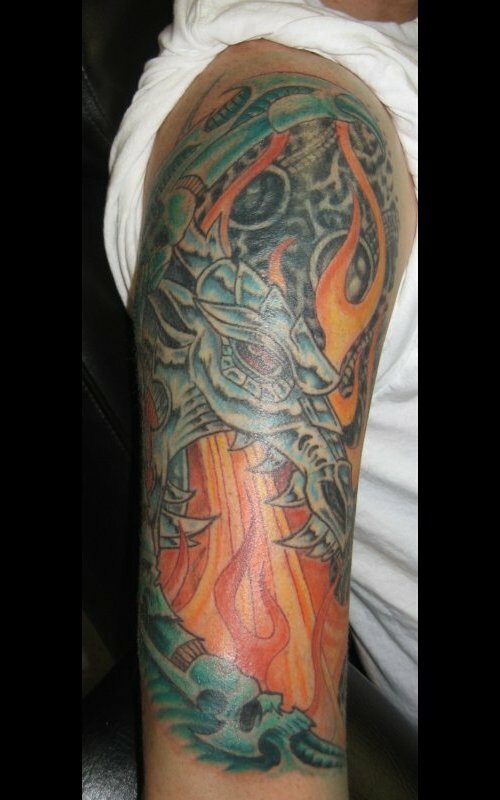 Dragonfire Dragon in flames tattoo. 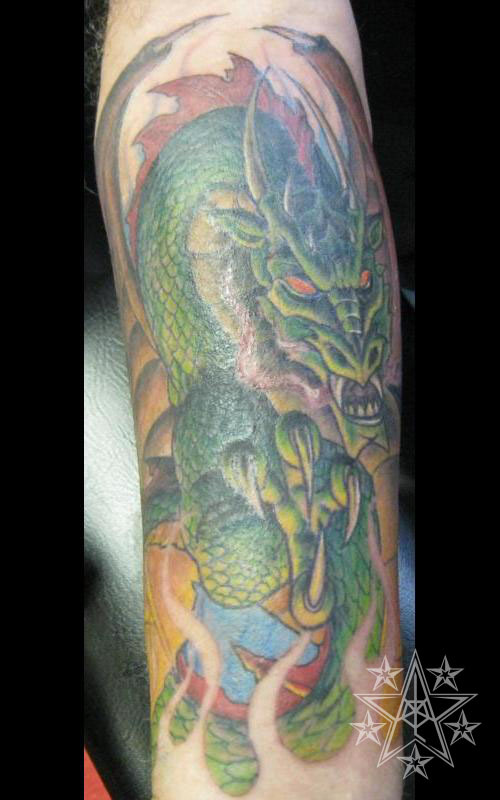 Dragon tattoos by Ray Reasoner Jr.
Dragons: The topic of dragons is enormous (Sorry, couldn't help it.). There are so many myths dealing with them and our interaction with them. Both the Asian and European continents run rampant with many stories of giant reptiles destroying and protecting mankind. Sometimes this was because of our actions, their temperament, both, or neither.